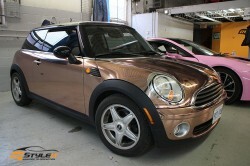 Rose Gold wraps have been gaining popularity around the globe over the last little while. 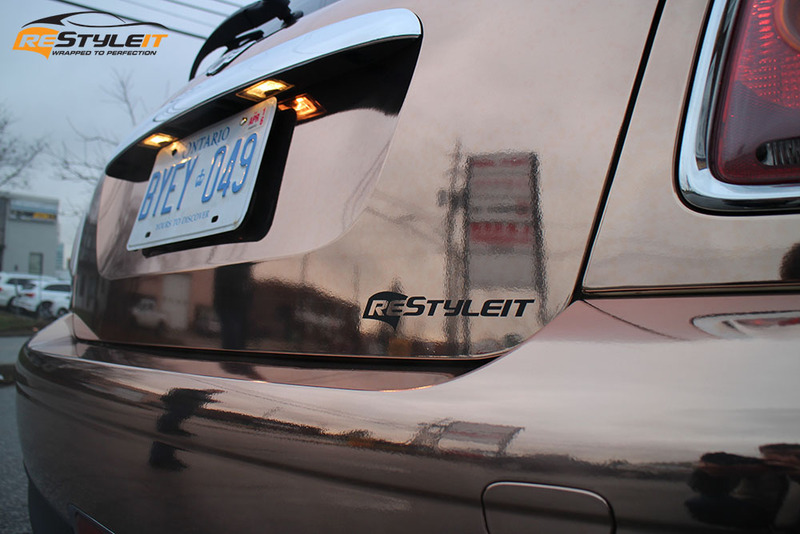 Yet, the first one in Canada happened to be done just recently at Restyle It Toronto location. 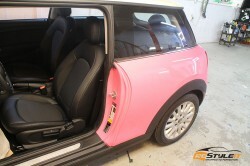 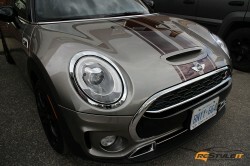 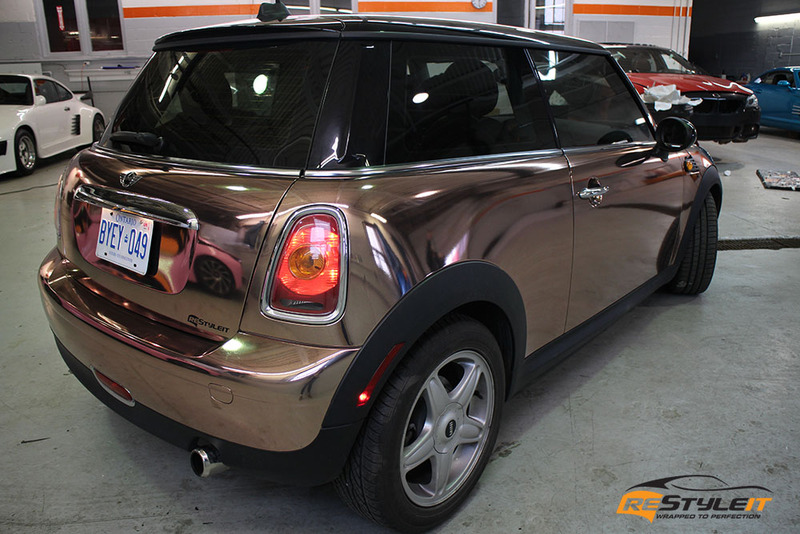 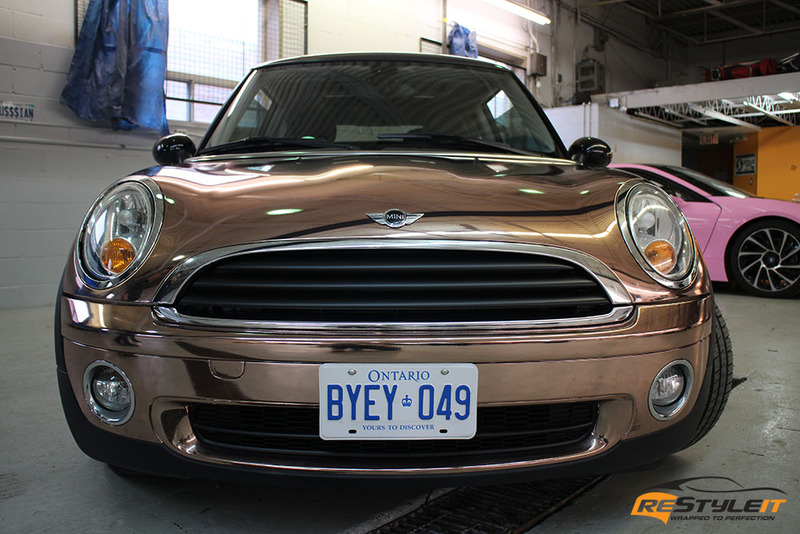 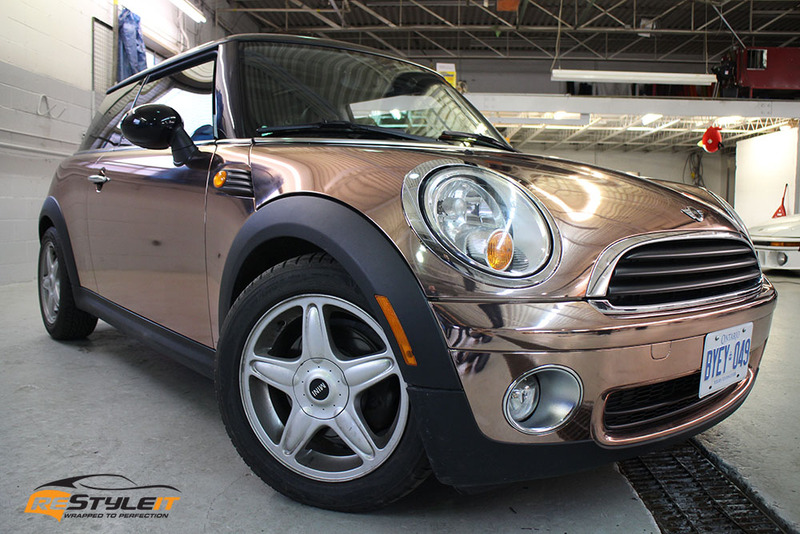 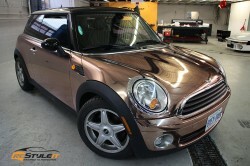 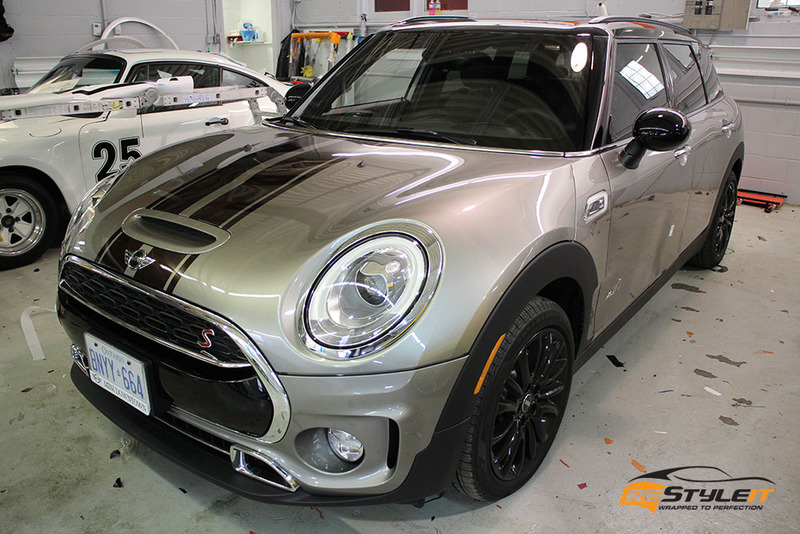 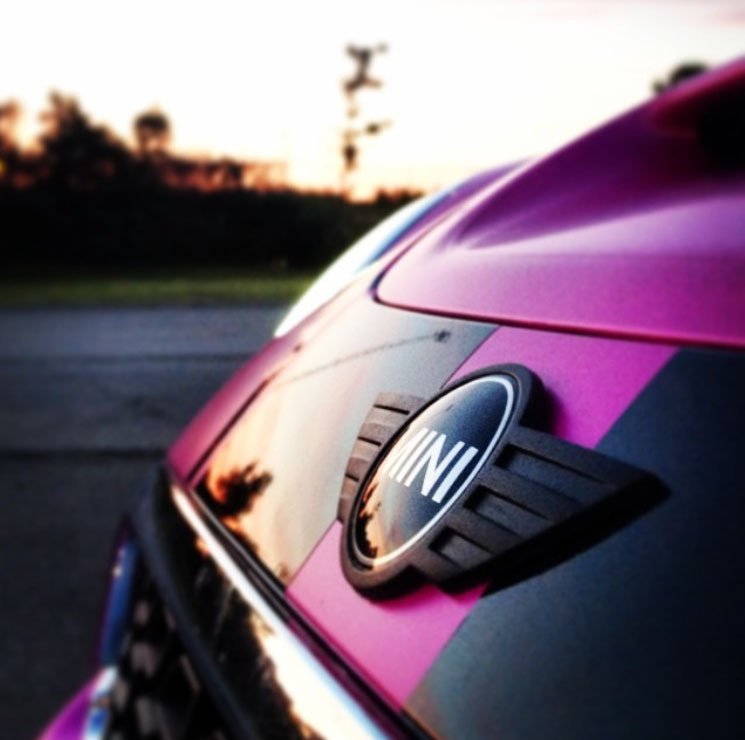 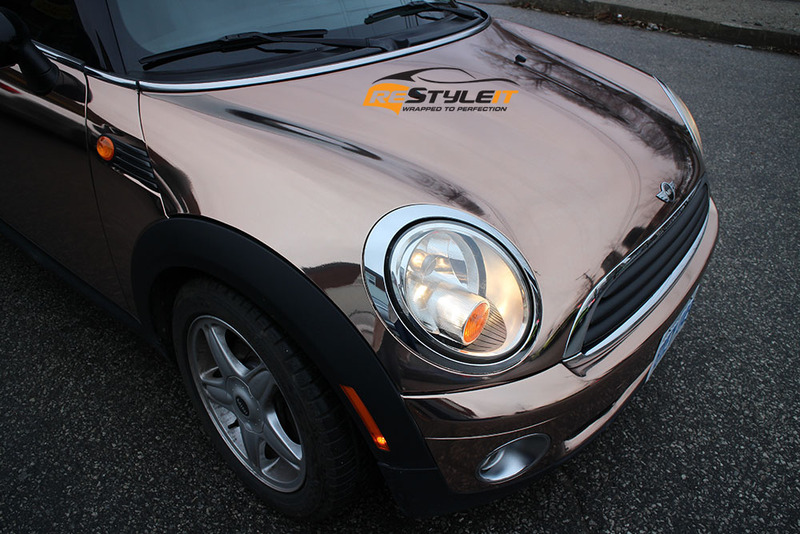 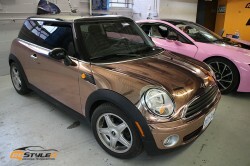 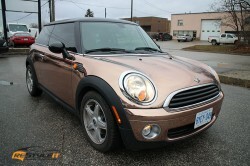 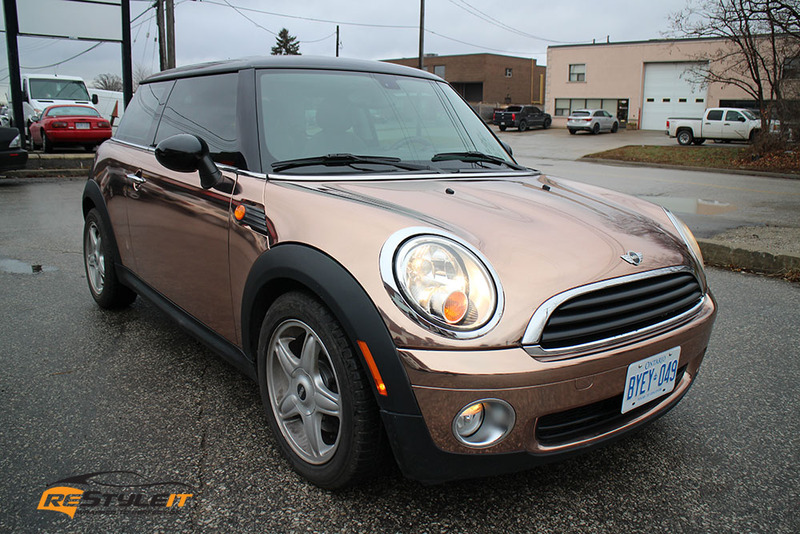 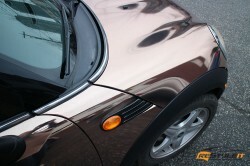 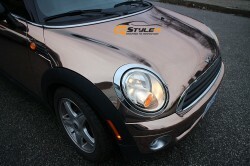 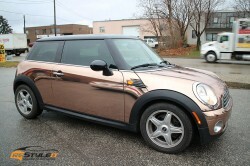 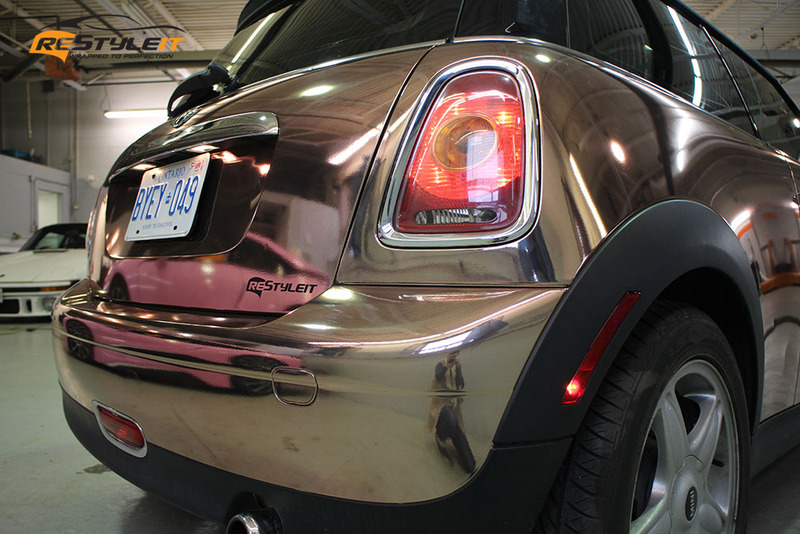 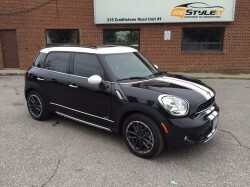 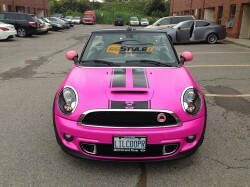 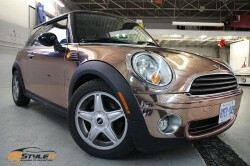 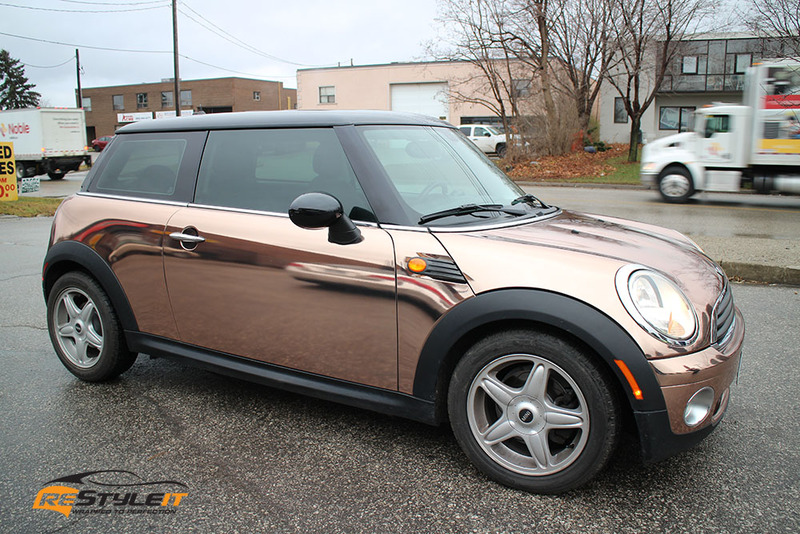 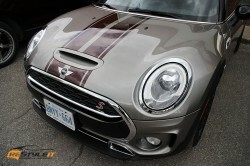 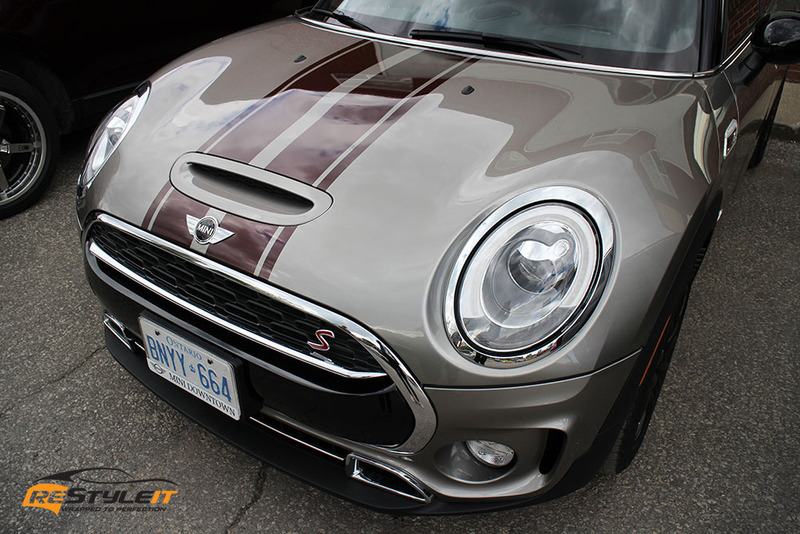 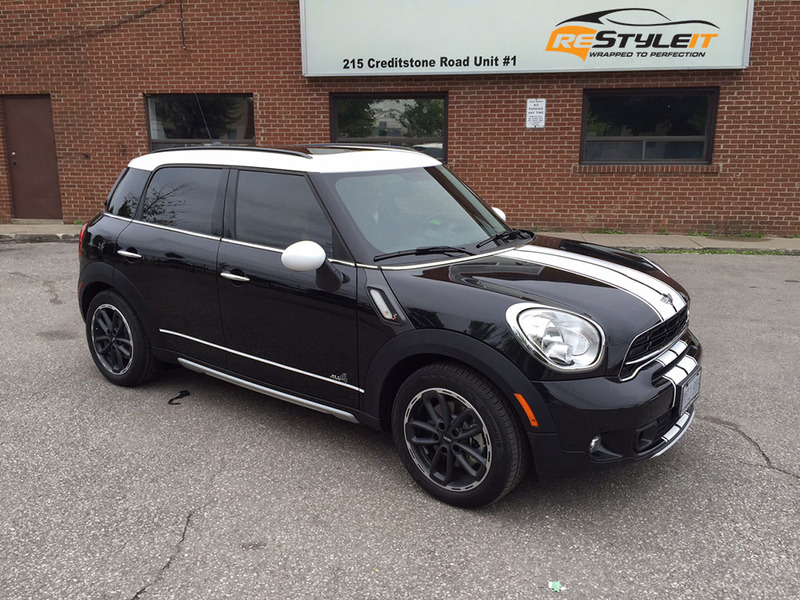 Originally black, this Mini Cooper turned Rose Gold and is now turning heads everywhere it goes! 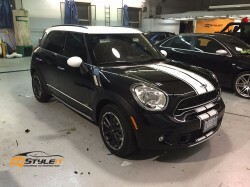 Want to have a unique looking car? 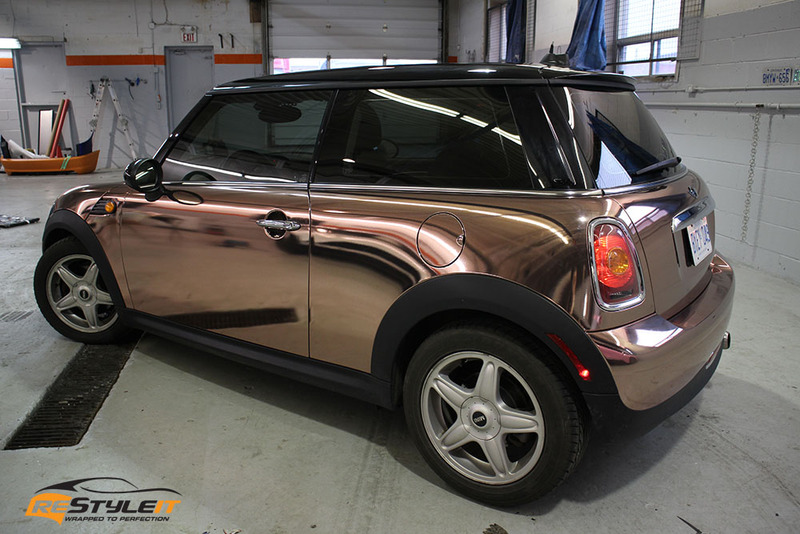 Considering to have it wrapped in chrome? Satin chrome? Colored chrome? 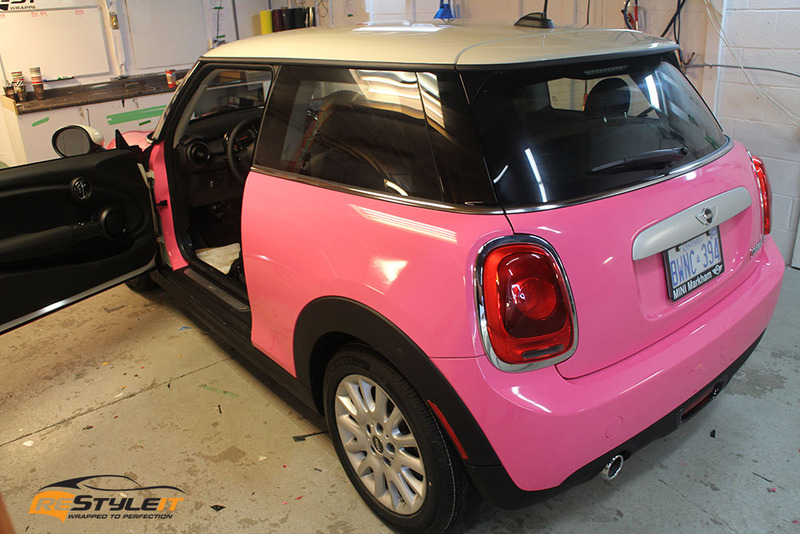 We are not only here to transform your vehicle’s appearance, but also to create a one of a kind experience for you and your loved ones! Special project for Mini Downtown Toronto for Remembrance Day in 2014. 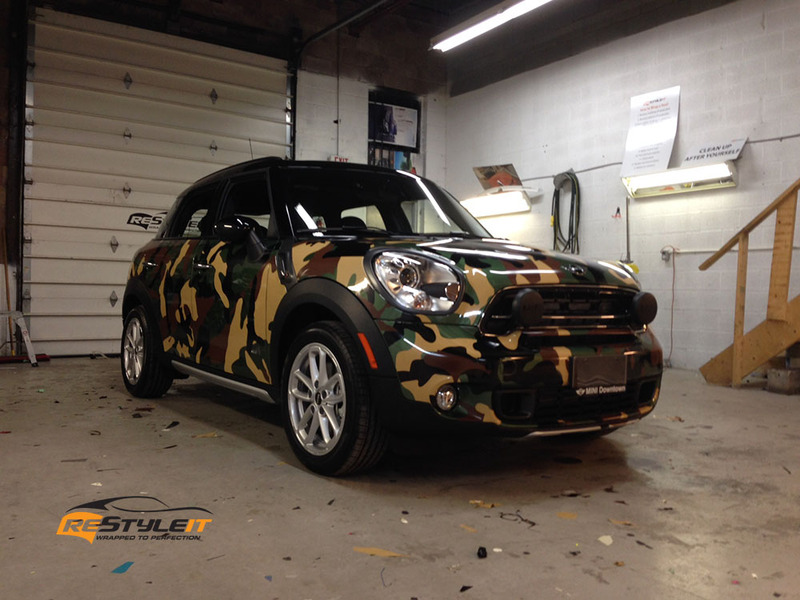 Custom camouflage wrap printed and installed to encourage recognition and remembrance of those who have given their lives in the line of duty since First World War. 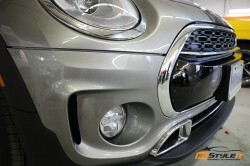 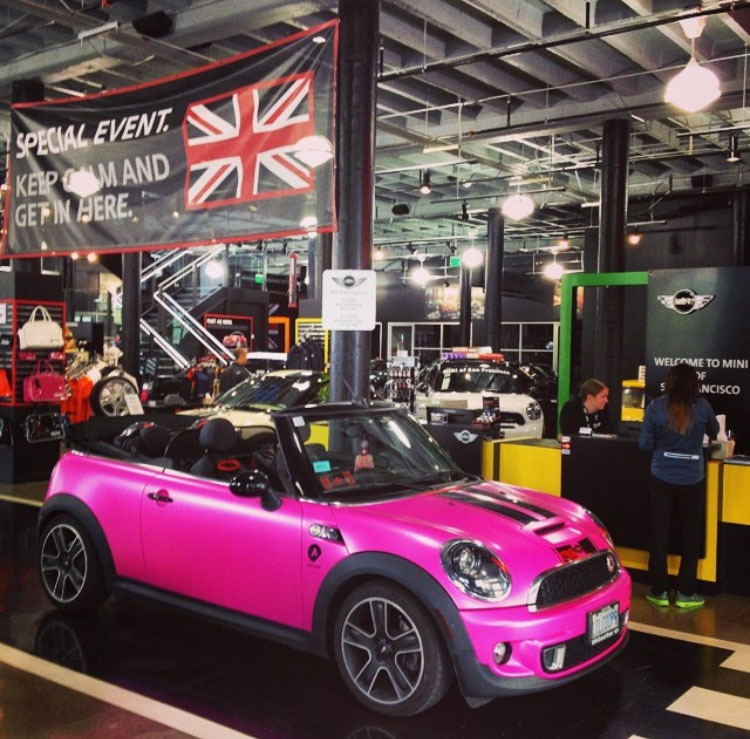 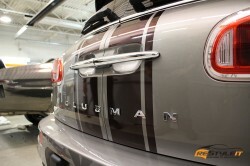 This vehicle has become the showroom model in one of the city’s largest Mini Cooper retail centers. 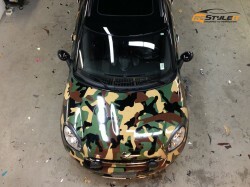 Camo wraps are available in various shapes and forms as well as colours. 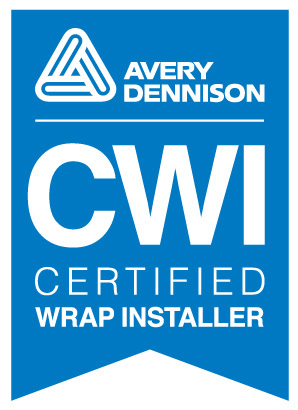 They can also be installed peace by peace individually if design concept requires so, or outlined, printed and applied as one solid sheet. 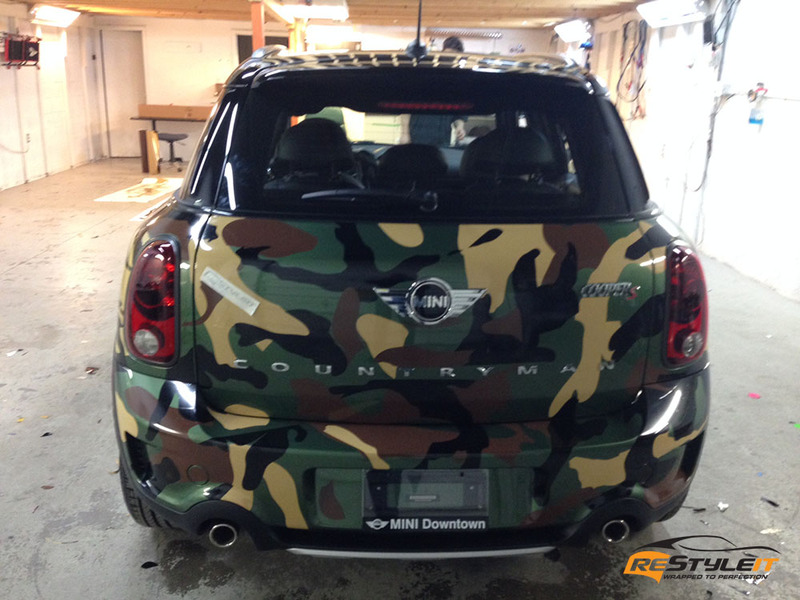 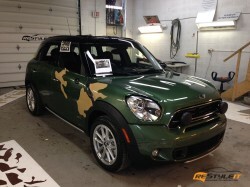 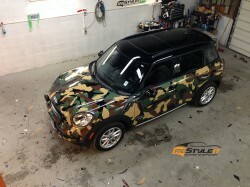 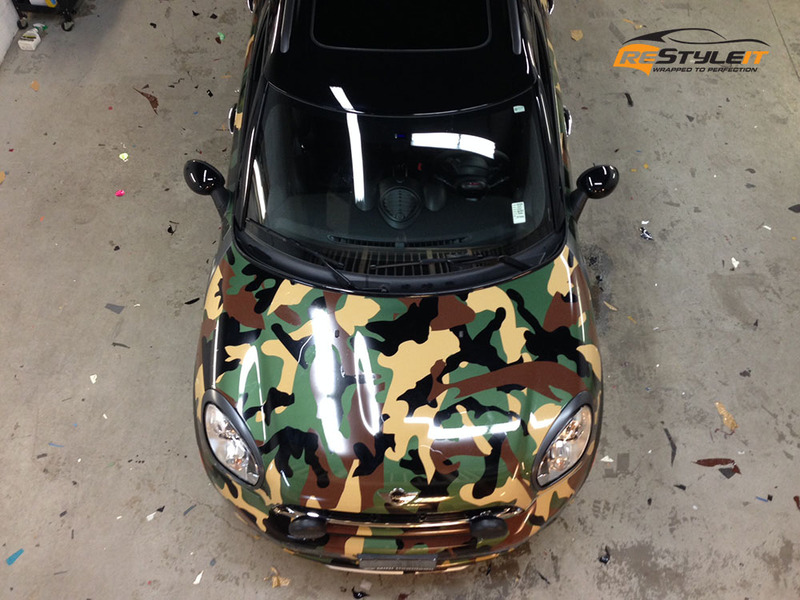 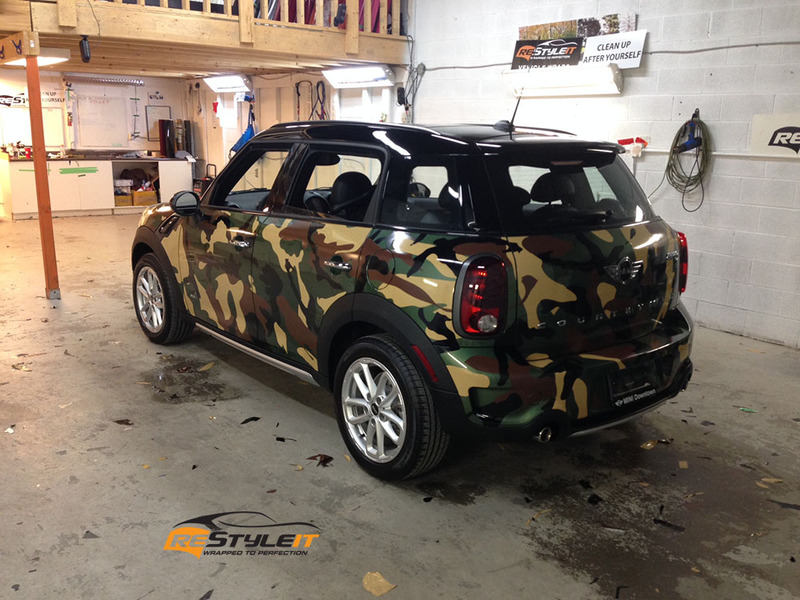 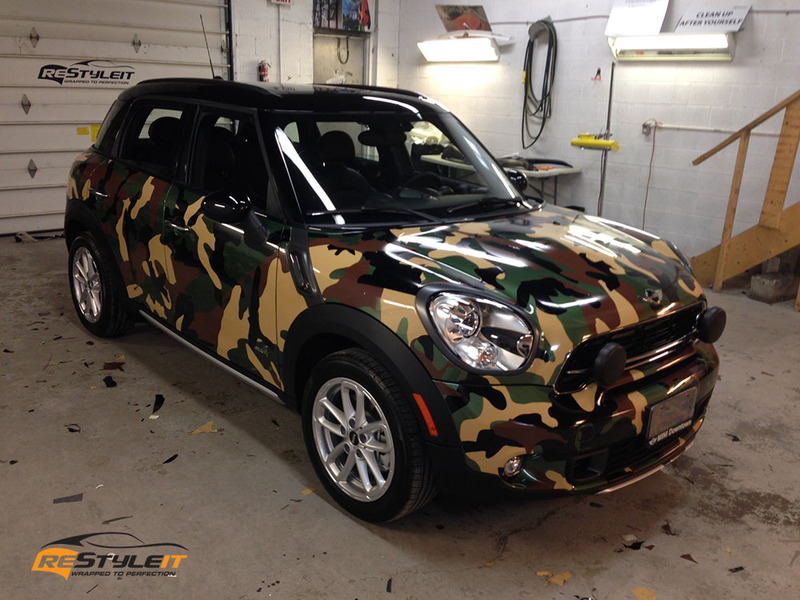 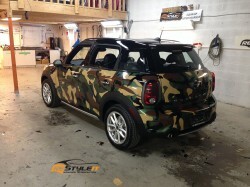 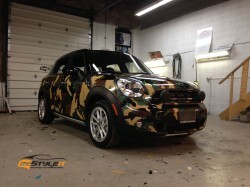 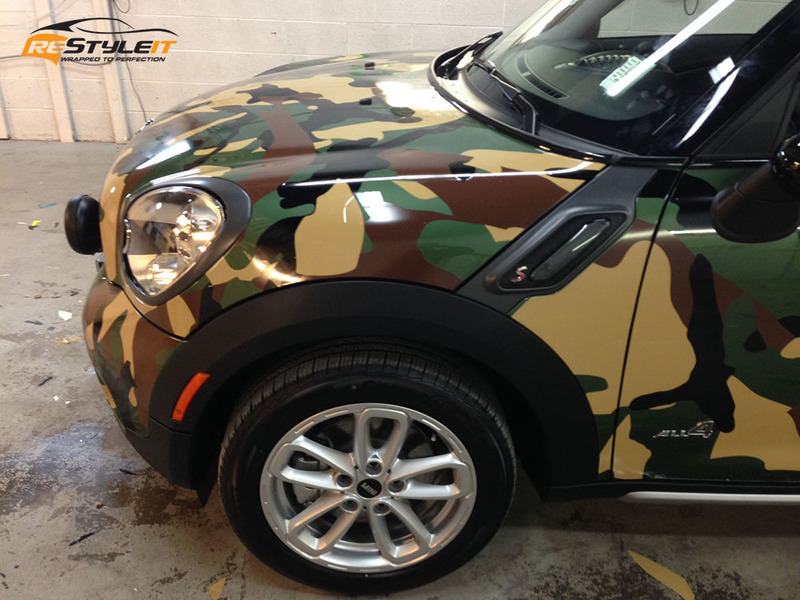 Camo wraps have become trendy in the last couple of years, so if you have always wanted to treat your car with one of a kind wrap, we are here to make it happen! 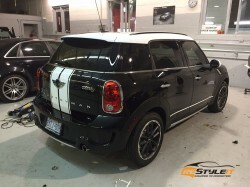 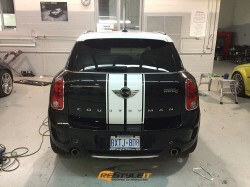 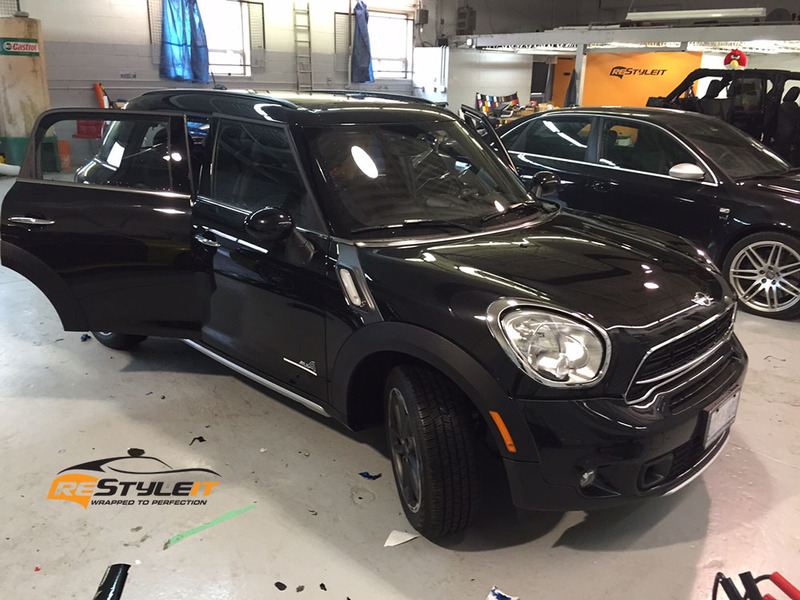 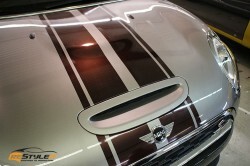 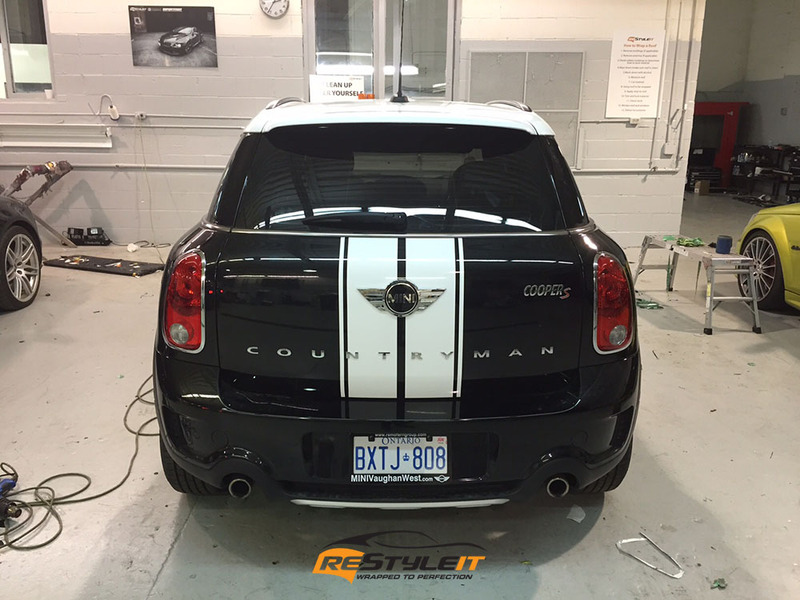 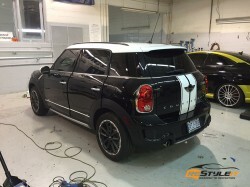 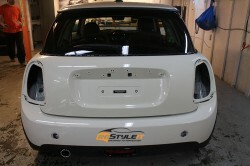 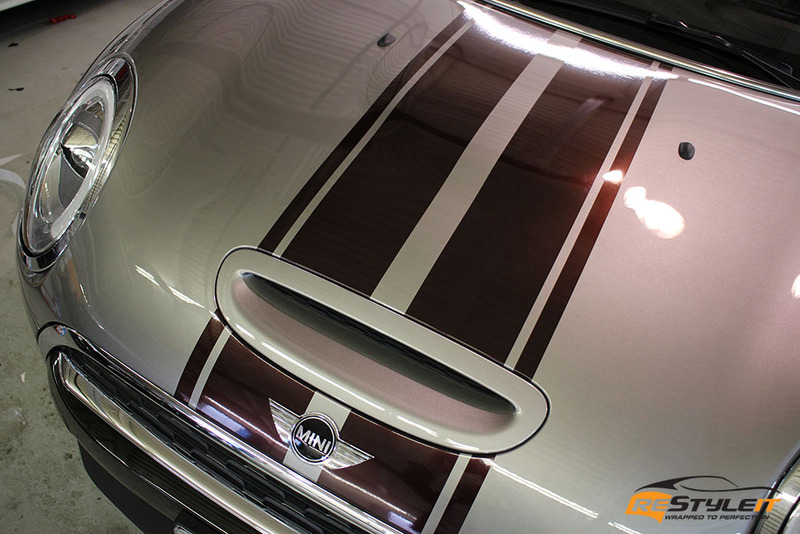 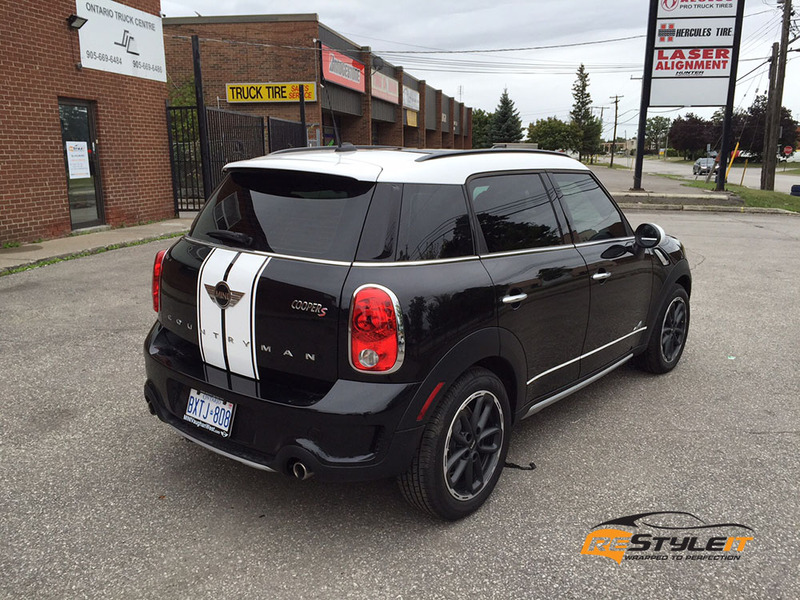 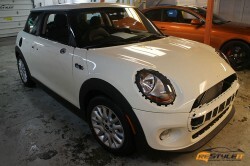 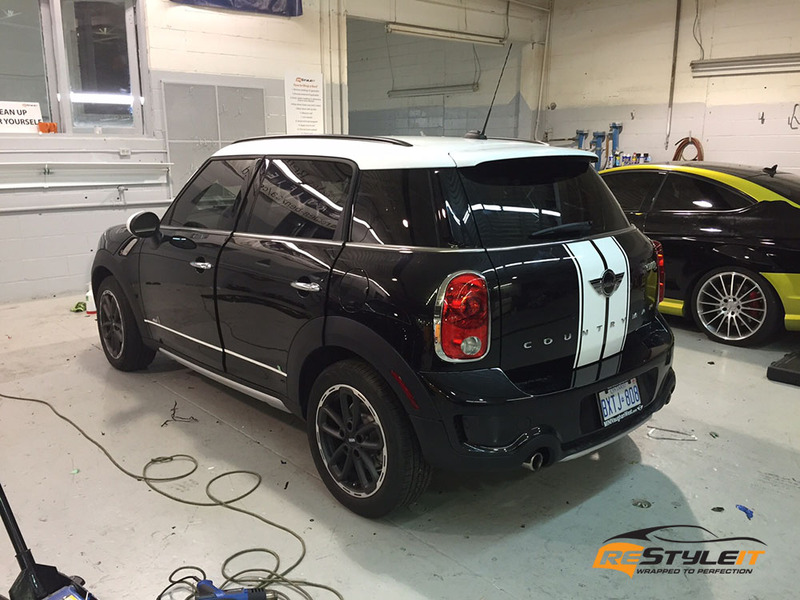 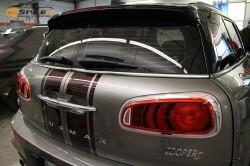 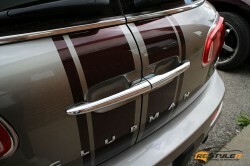 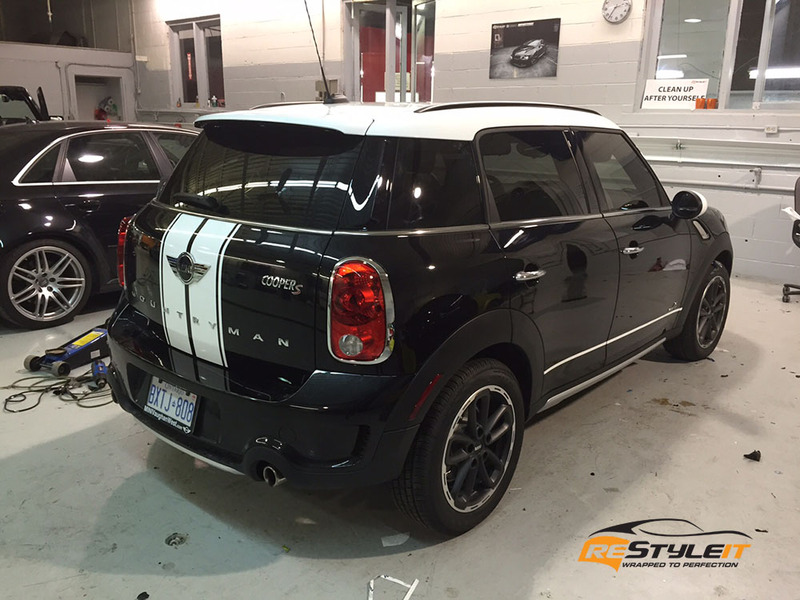 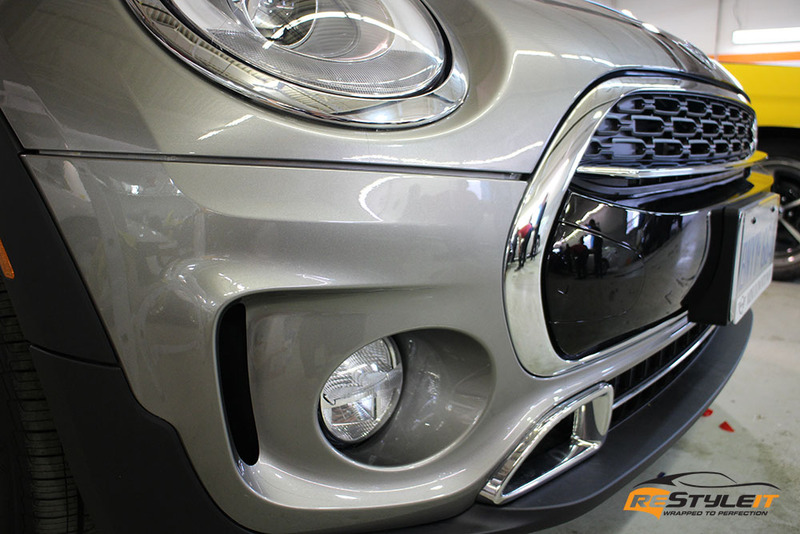 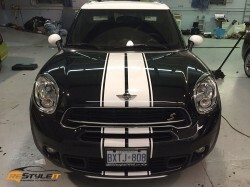 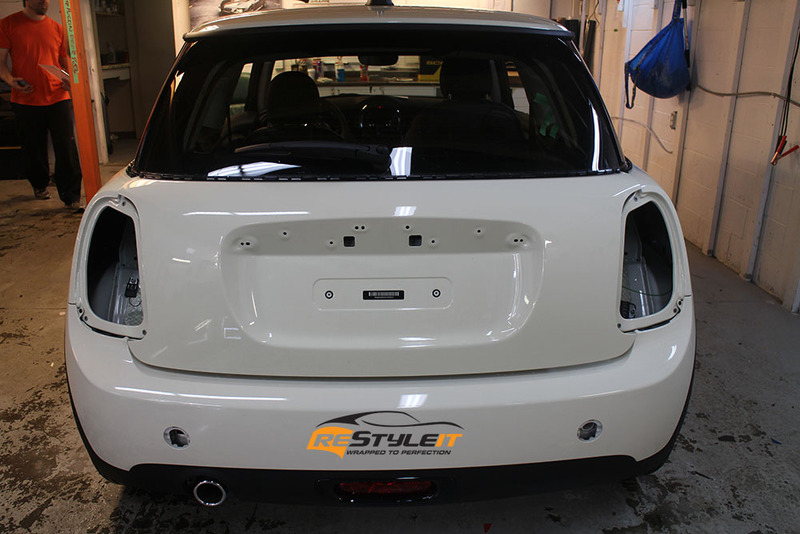 Matching gloss white roof, mirrors and stripes project on this Mini Countryman! 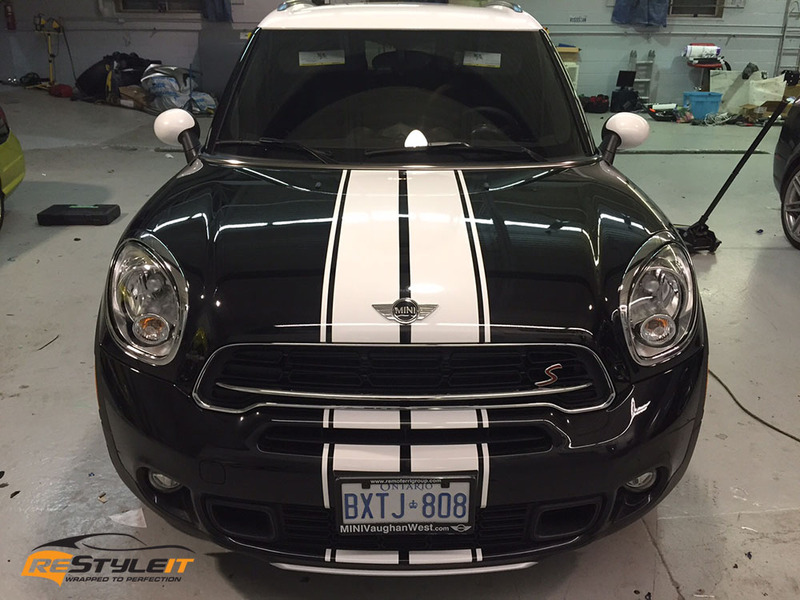 Nice little accent work, but what a difference! 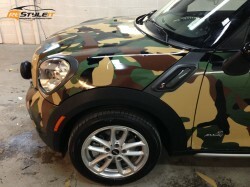 Your vehicle could be next! 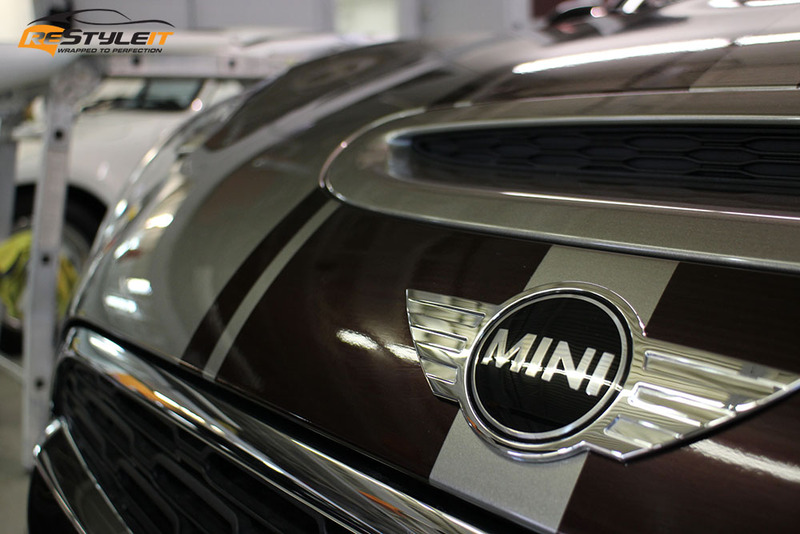 Contact us by filling out the form below! 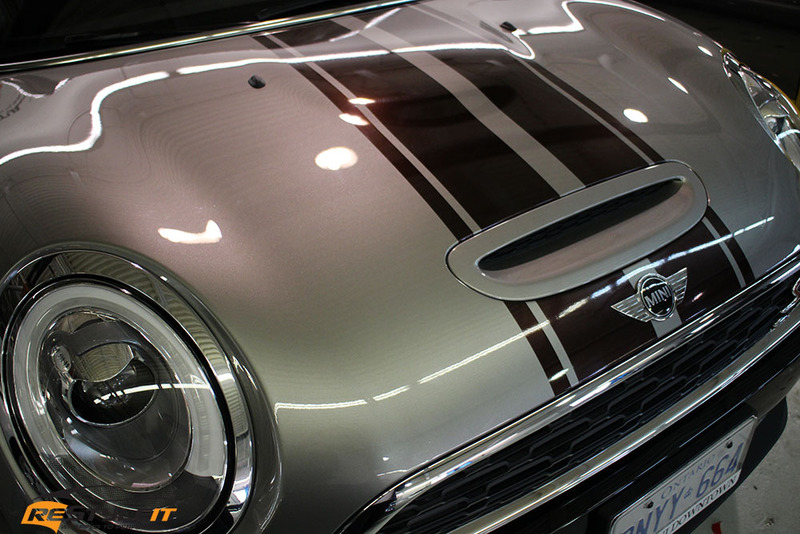 Mini Cooper owners that we had pleasure to work with in the past tend to have a unique taste. Out of all the minis we have wrapped not a single time the colour code repeated. Full colour changes, stripes, graphic designs, we’ve tried it all, but this time we got our hands on a nice fresh looking gloss pink wrap. Turned out looking like a perfect lady ride! 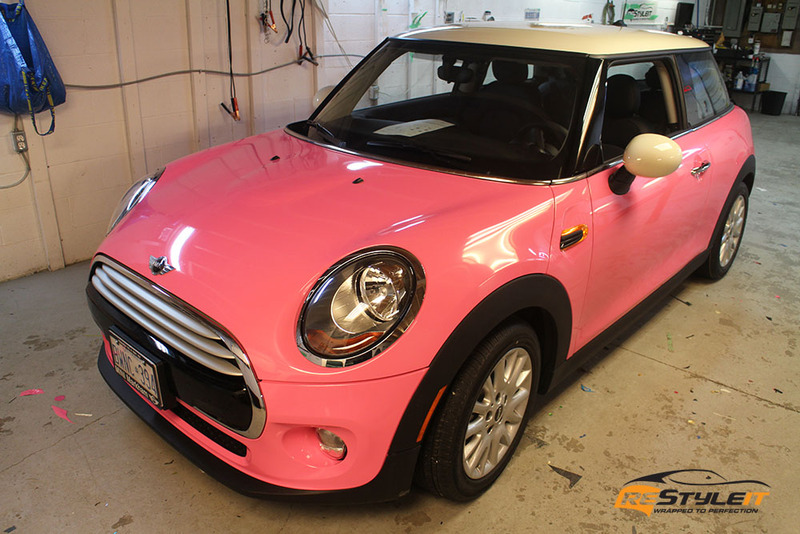 We hope she enjoys! 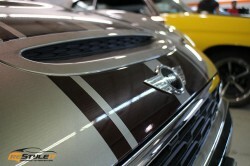 Here is a short story about a life long childhood dream that came true and we are happy to be a little part of it. 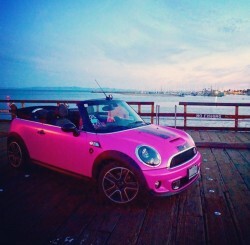 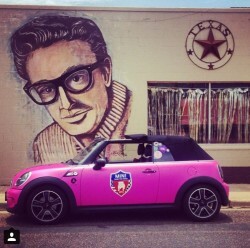 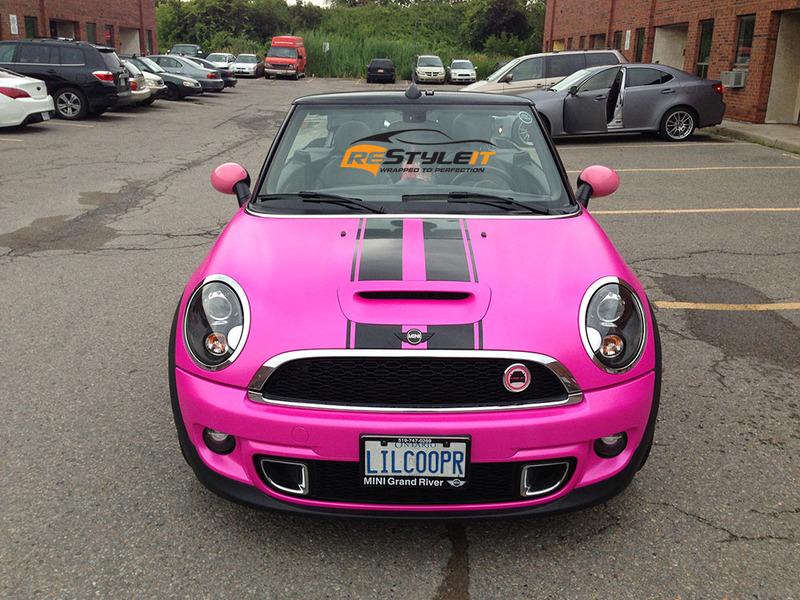 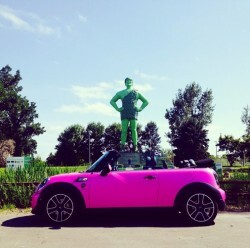 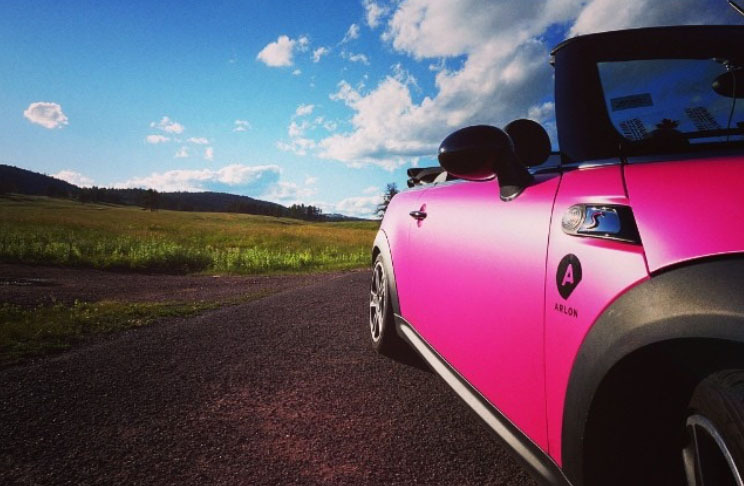 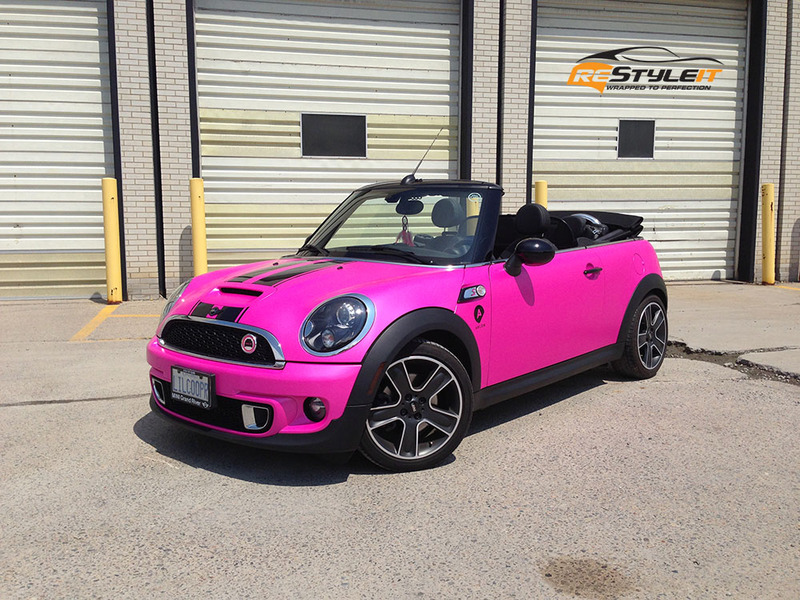 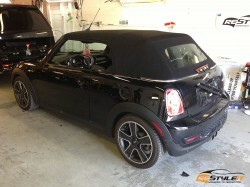 2013 Mini Cooper S Convertible, known by the name STELL4, is owned by an incredible person, who pursued her dream to travel across the country and fundraise for a great cause. 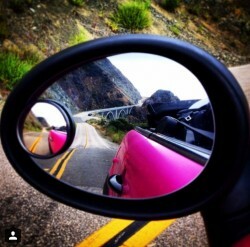 In summer 2014 LILCOOPR (her instagram name) drove all the way from Toronto down to west coast, making frequent stops along the American side of the ocean, across a number of states and cities and back to her hometown with the goal to raise $10000 ($1 per each mile driven) in support of Children’s Wish Foundation of Canada. 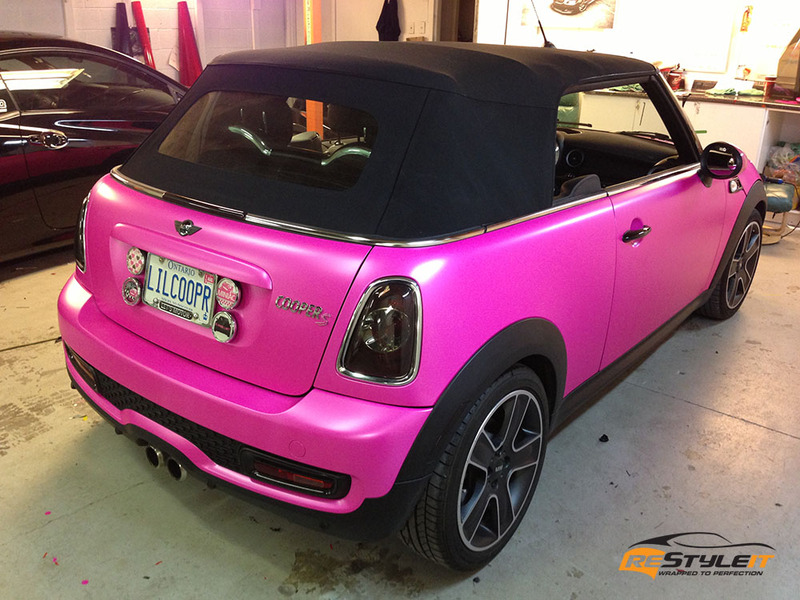 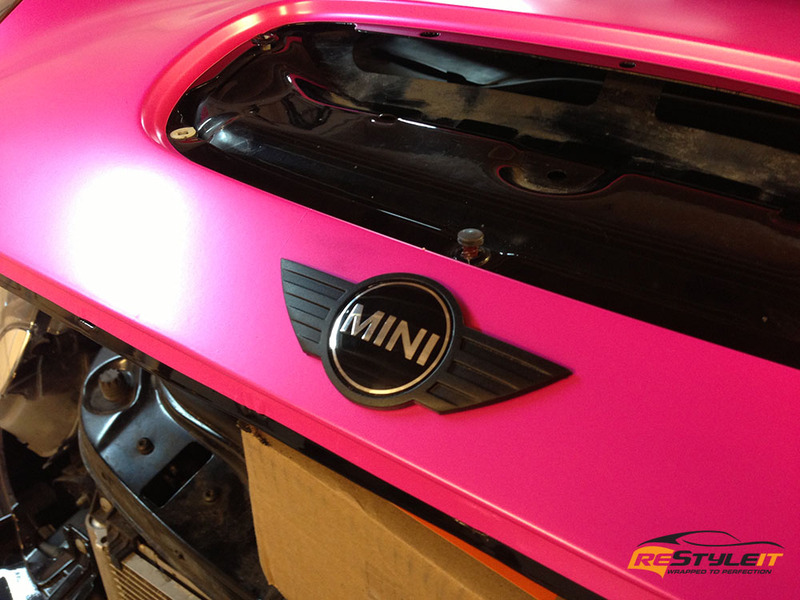 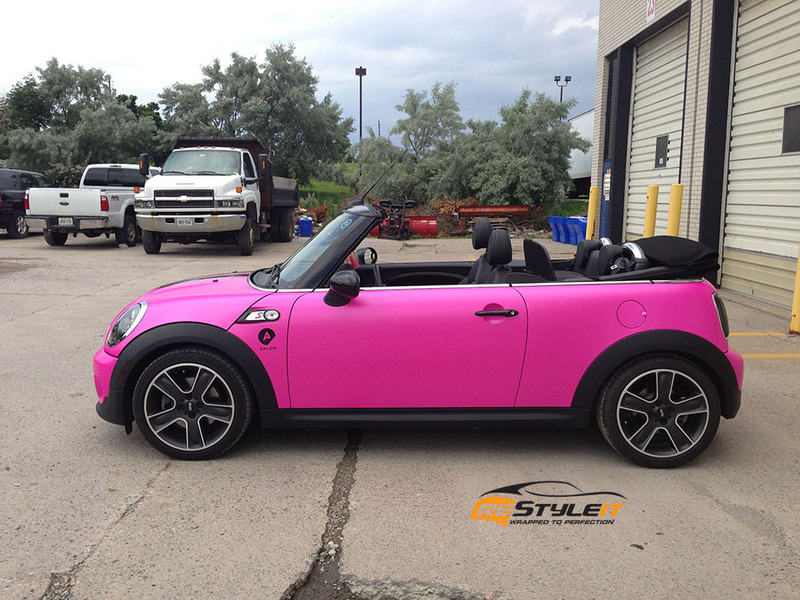 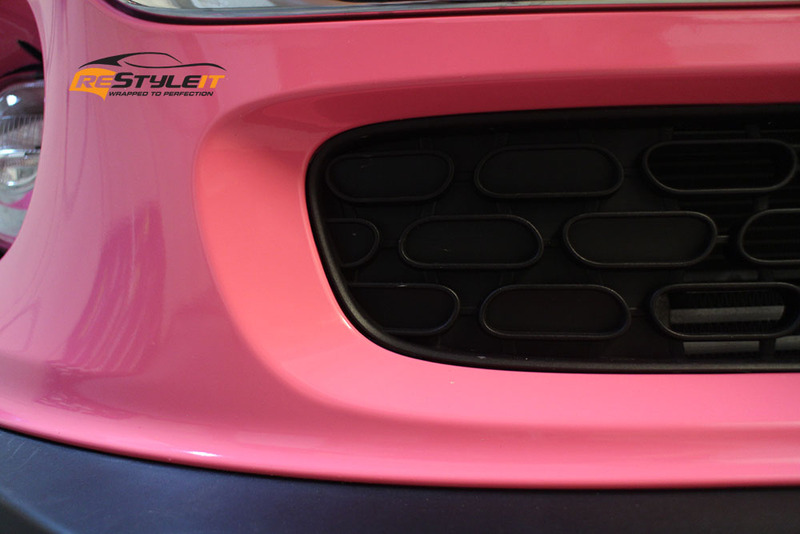 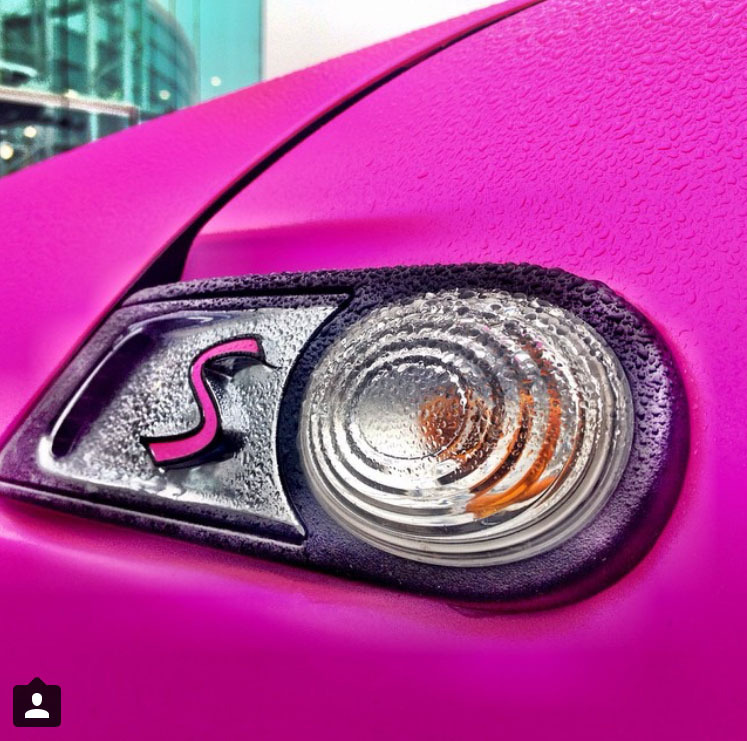 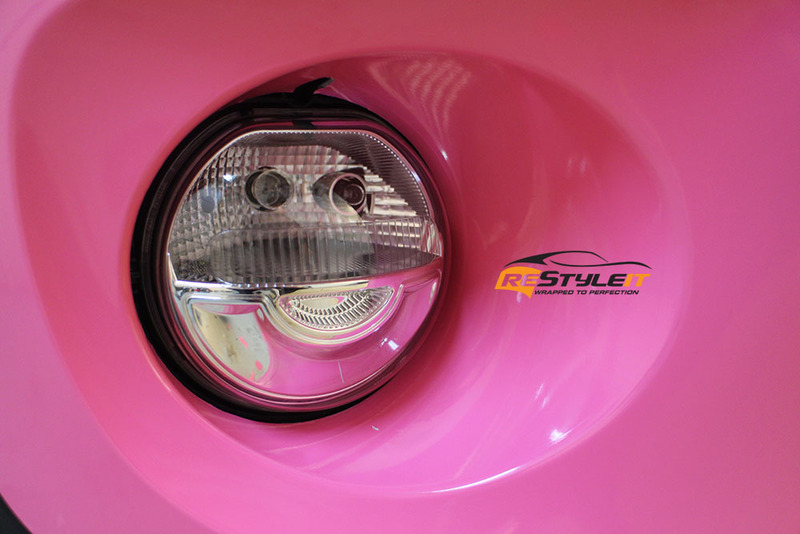 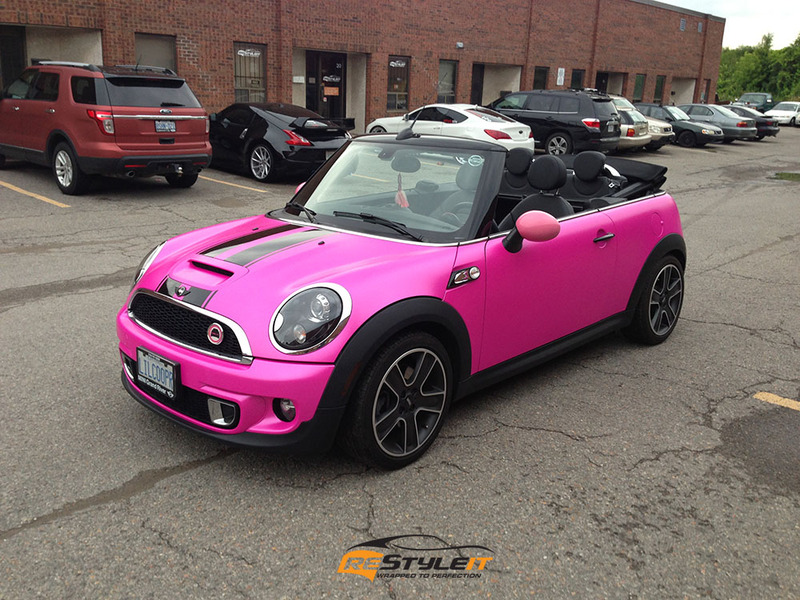 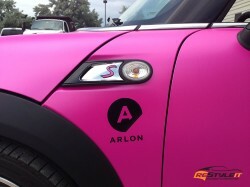 Just before her journey started, she brought STELL4 for a major makeover from a factory black to the Hot Pink exterior look. 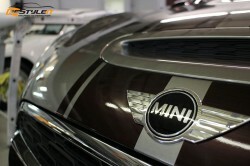 What makes this project even more special? 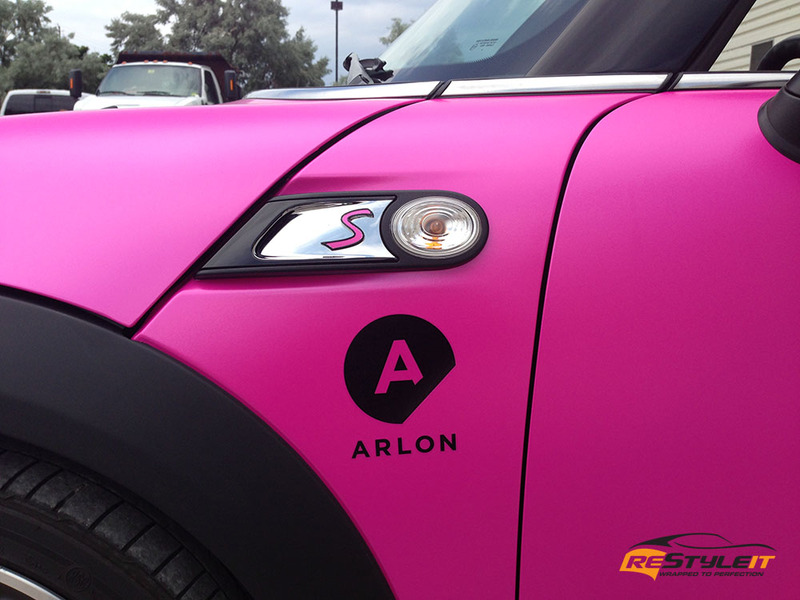 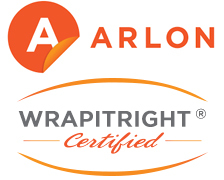 Before Hot Pink by Arlon even made it out to the market, we got to be the lucky ones to test out the first roll on STELL4. And as you can see it turned out great! 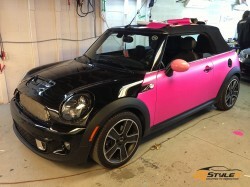 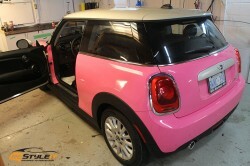 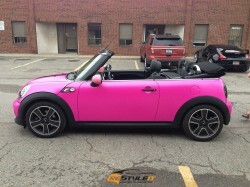 For more details on HOT PINK STELL4’s journey, please visit www.drivingfordreams.ca. Support Children’s Wish Foundation of Canada and donate! 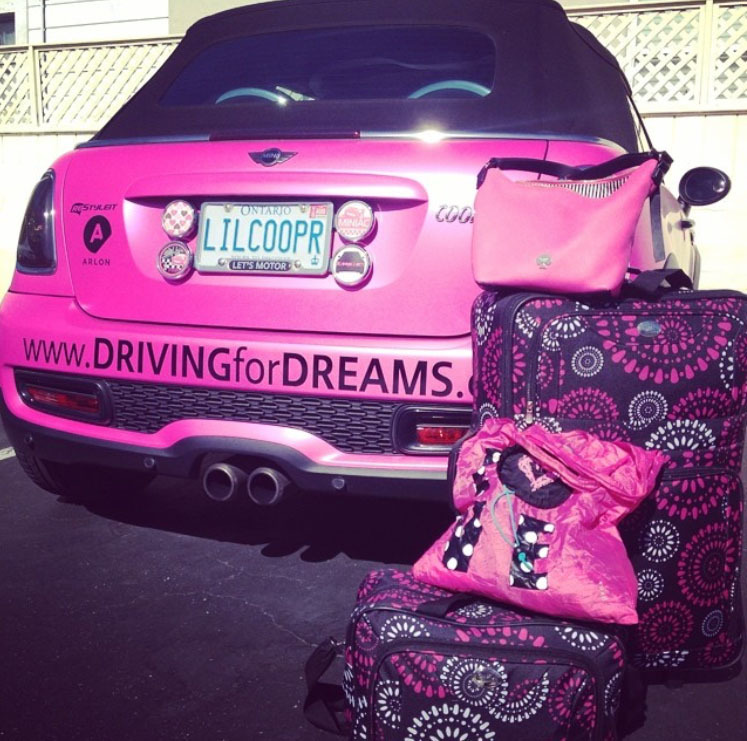 www.drivingfordreams.ca please visit and donate!